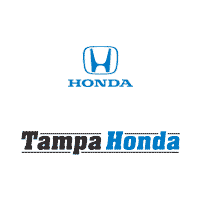 Tampa Honda very helpful in my families buying experience. We look forward to purchasing again. Every staff member there was welcoming and friendly. Thanks again to our salesman David Garcia. We appreciate you all. just purchased 2 car from David Garcia. He is a pleasure to deal with. No pressure, negotiated a fair price and was very patient with a sense of humor. Overall experience was very relaxed. I worked with Chris and he was very helpful. Found me a car in great condition within my range of price. Overall good experience. Juan was amazing! The absolute best sales experience in my life. He understood and respected my position on price and did everything he could to make it happen. AllAll fut vehicles will be bought through him. Mike is my new go to guy for all things automotive. For Tampa Honda to build long-lasting relationships with our customers, we have to develop the level of rapport that creates trust. The relationships that we build with customers often begin by responding to customer feedback. Over 85% of consumers provide some type of feedback to retailers. The feedback comes in the form of direct conversations, electronic mail, and of course, online reviews. Please help our team better serve the community by letting us know what you think.